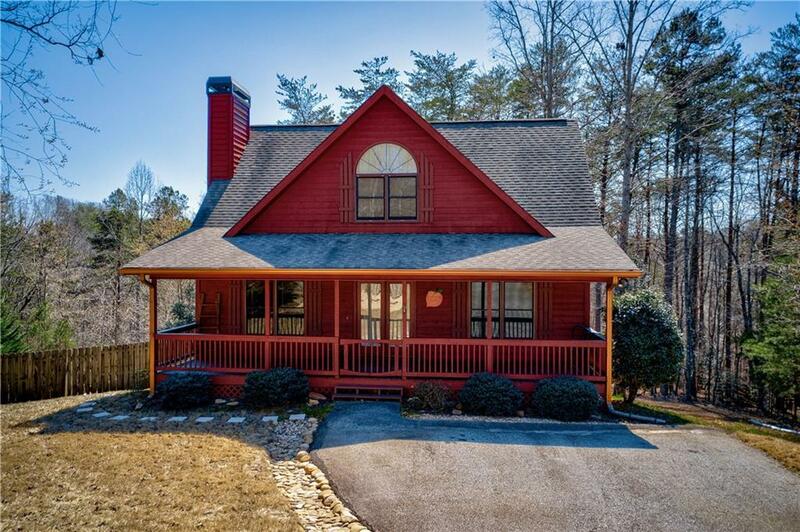 Beautifully maintained 3 bedroom 3.5 bath cabin on a large cul-de-sac lot. 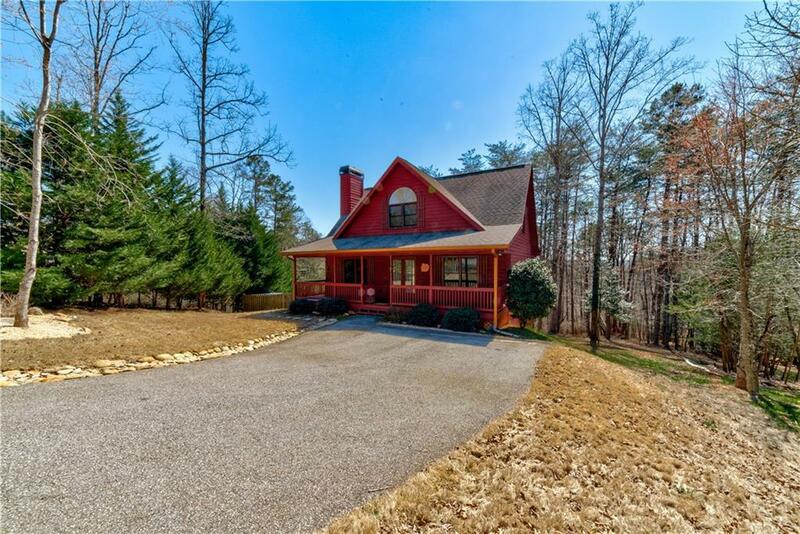 Large covered front porch. Master on the main. Remodeled kitchen w quartz countertops, extra storage space, pantry, built in glass cooktop and wall oven. 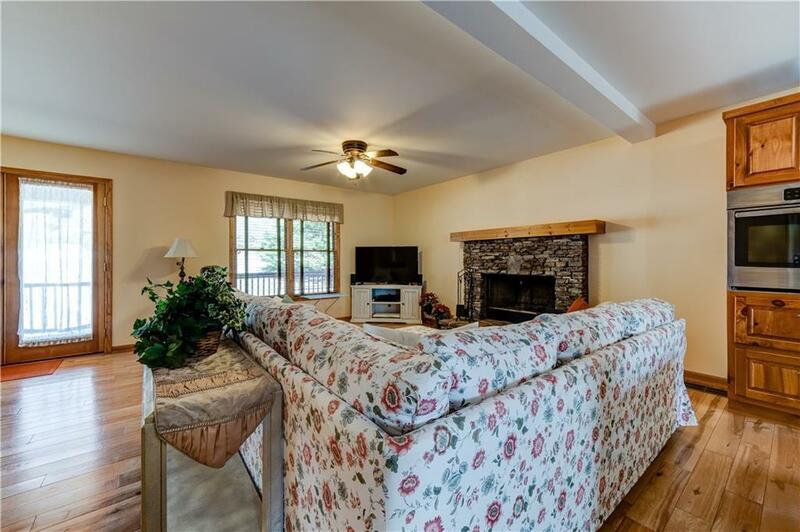 Hardwood floors on the main level & stacked stone fireplace in family room. Very spacious bedrooms upstairs. Finished basement w full bath & separate A/c unit. Oversized back deck & screened porch overlook the private wooded back yard. Landscape package includes rock bed for proper water drainage. Fenced yard. 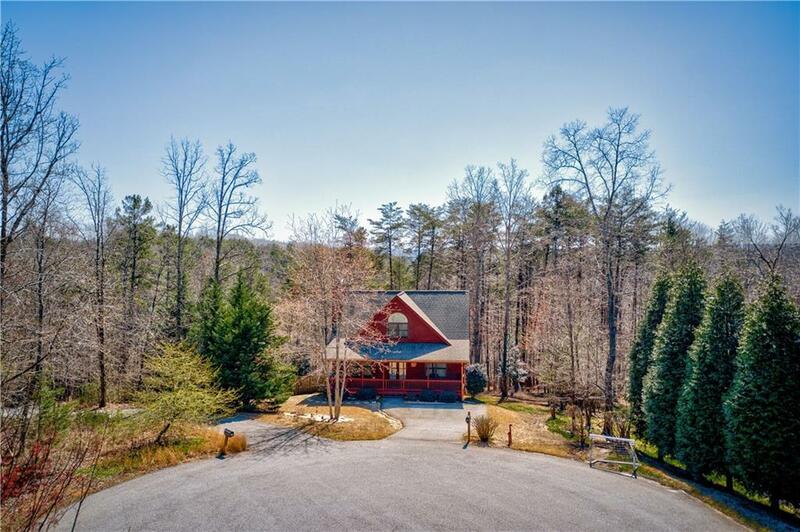 1.44 acres w creek passing through.